Storytelling is a major aspect of Annie Aube’s work. The embroidery medium adds to the rustic charm as well its historical role. Mythology and Folklore has always been an interest of hers, and her obsession with transformations, with magic, epitomizes the roles of Fairy Tales in both their modern and historical contexts. 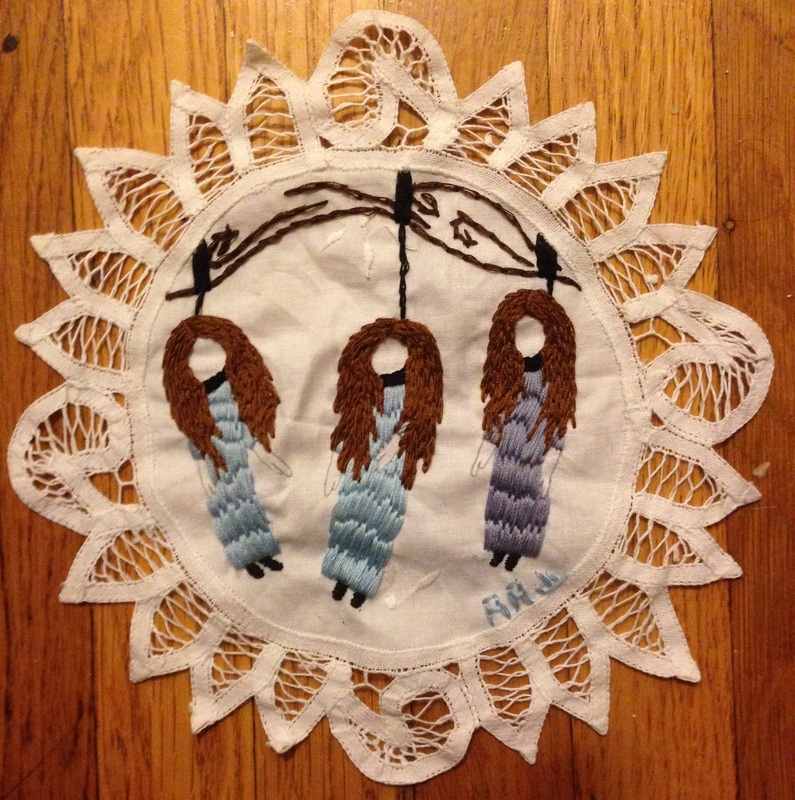 With a needle and thread, Annie juxtaposes the adorable with the violent; the imagery of Folk Art and Contemporary Surrealism to create Surreal Folk Art.